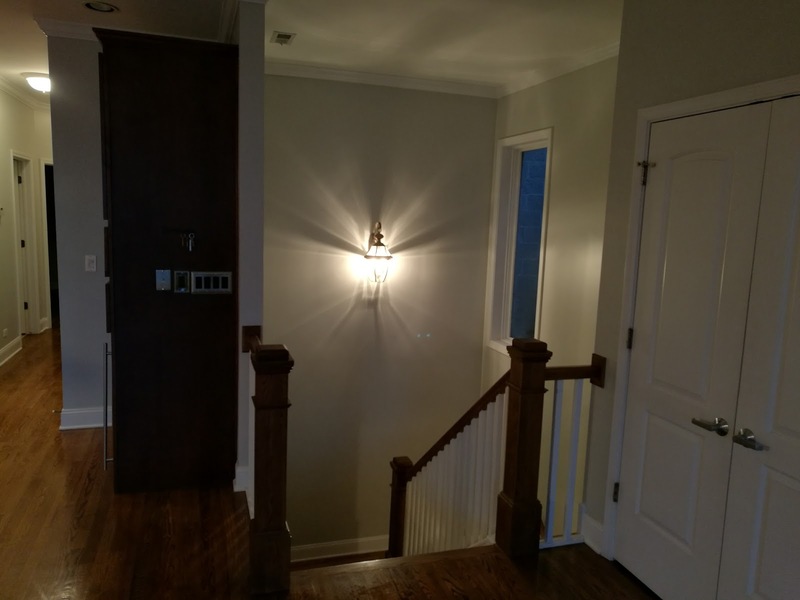 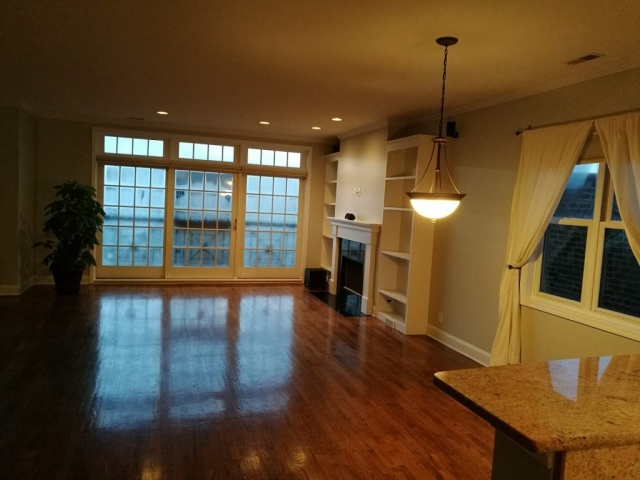 paint the trims, doors, baseboards, crown moldings and built-ins. 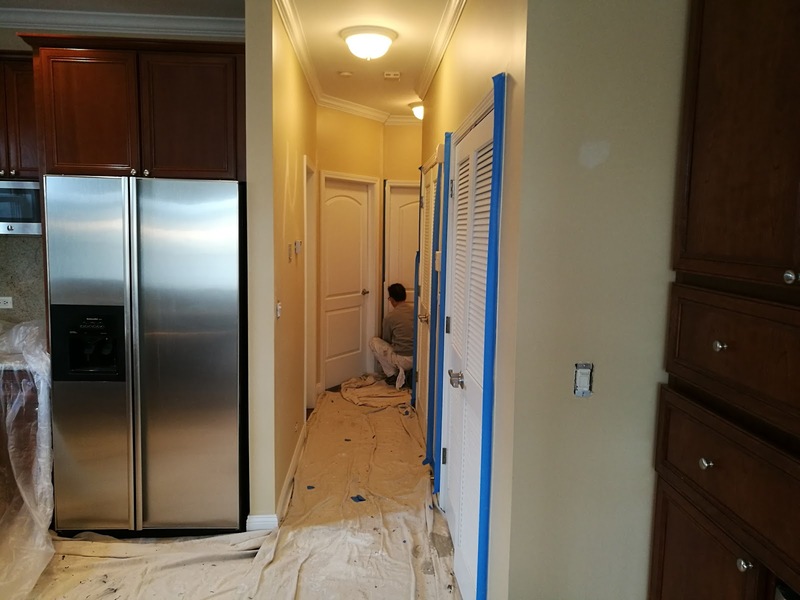 Two coats of Sherwin Williams Emerald white semi-gloss paint. 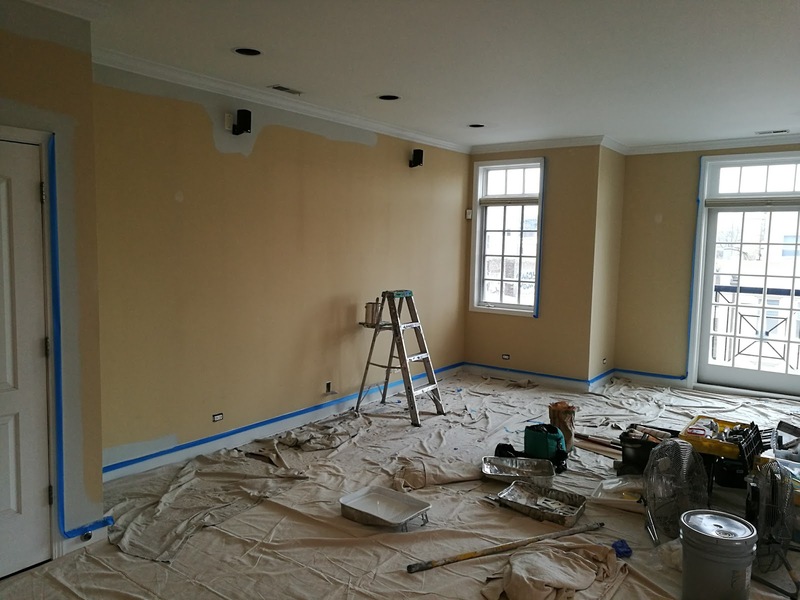 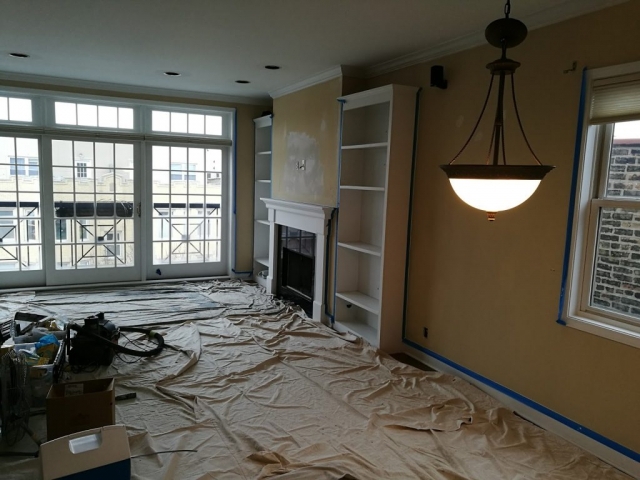 paint the ceilings: two coats of Sherwin Williams white flat CHB paint. Bathroom ceilings and closets were painted with white semi-gloss paint. 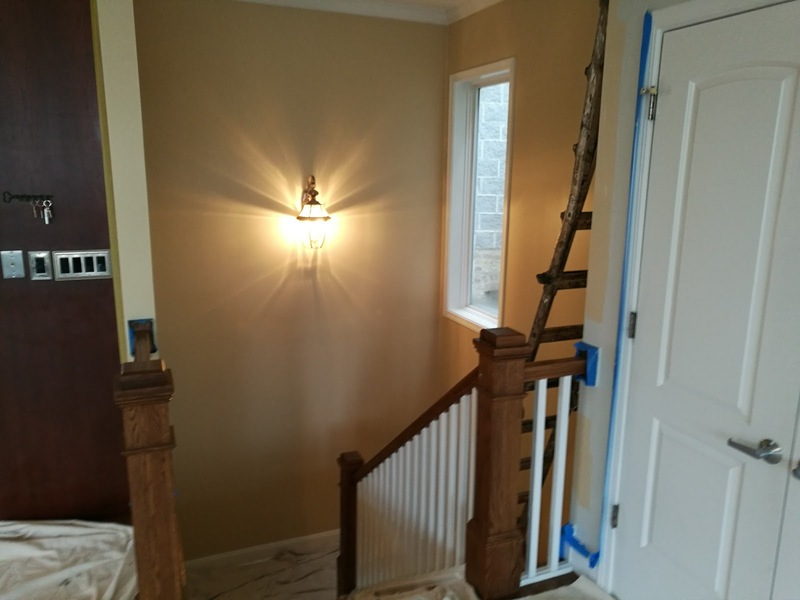 Paint the walls with Sherwin Williams Emerald matte paint. 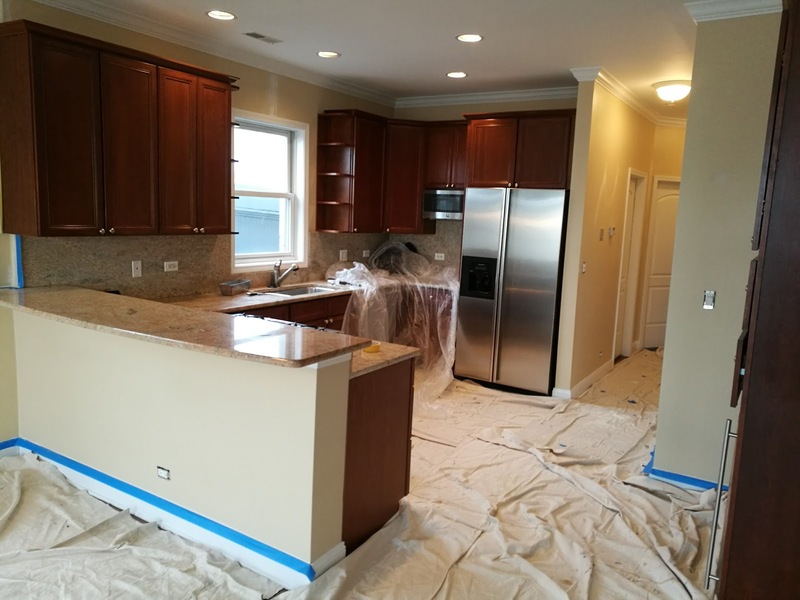 All prject took five days, when homeowners were on vacation. 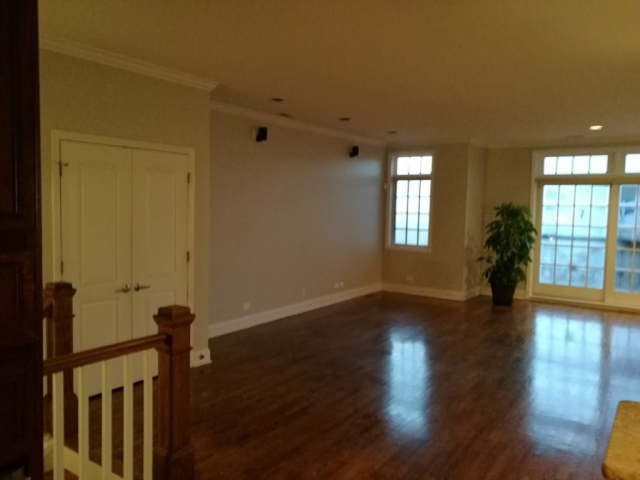 Windy Painters Chicago cleaned the floors and vacuumed the carpets after finishing the project.